Here we go! Welcome to Master Grimskull’s castle. It’s high in the mountains in the north and there are no easy ways to get there other than magic and the air. Meet Sofka, Master Grimskull’s actual apprentice. 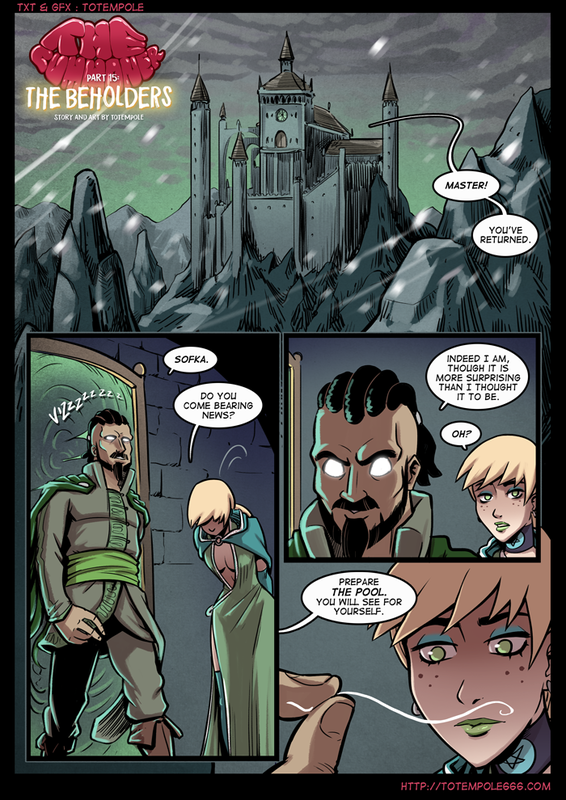 You saw her once before in chapter Swallowing Dark (just one panel with her and Grimskull). I might be making some people’s wishes come true in this chapter. Other news: there will be one page break in pages on Tuesday due to Chistmastime, but hopefully I’ll be delivering a sketch to keep your hands busy! Merry Christmas (or whatever else you might be celebrating) and see you next week!